Part Numbers: 12469487, 94252A, 2530-01-488-6147. 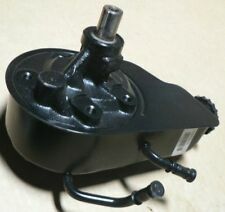 RESERVOIR for POWER STEERING PUMP. 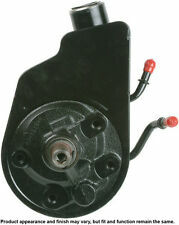 "A1 Cardone Power Steering Pump --. Condition : New. General Warranty Limitations (Applies to all Product Warranties). The warranty is subject to the General Warranty Limitations below. Limited Warranty Coverage Policy. HMMWV, Humvee, M113, M114, M1151, M1152. NOS Power Steering Tube. AM General. "Edelmann Power Steering Hose --. Notes : Bulk - 3/8 in. Condition : New. Constructed with hardwearing materials for dependability. Therefore all implied warranties that may apply to your part are limited to the duration of this written warranty. Length; 0.375 in. Notes : 0.38 in. Condition : New. Therefore all implied warranties that may apply to your part are limited to the duration of this written warranty. Each warranty gives you specific rights, and you may have other rights which vary from state to state. Military surplus Power Steering Pulley. Eaton ER15867-1. AM General MD253-20001. Fits M915. 14968 R2C11. Part Number: 37209. Part Type: HVAC Harness Connector. Style: Harness Connector Adapter. Connector Shape: Rectangle. Connector B Shape: Rectangle. Connector B Gender: Female. Connector B Type: Spade. Connector Gender: Male. "Gates Power Steering Hose --. Notes : 0.38 in. Made by prestigious manufacturer of critical power transmission and related components. Condition : New. Durably crafted for enduring performance ". Therefore all implied warranties that may apply to your part are limited to the duration of this written warranty. Warranty Type:Manufacturer Warranty. Warranty Duration:1 Year. We are a staffed by Knowledgeable and experienced professionals, giving you "just good old fashioned friendly service"! Part Number: 20-8739F. 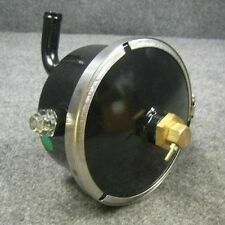 New M939A2 Power Steering Pump. We will try to resolve any issues, but we can’t rectify a problem if we are not aware of it. "Gates Power Steering Hose --. Made by prestigious manufacturer of critical power transmission and related components. Condition : New. Durably crafted for enduring performance ". Therefore all implied warranties that may apply to your part are limited to the duration of this written warranty. New M939 5 Ton Power Steering Pump. TRUCK: 5-TON,6X6,M939,M940,M941,M942,M943,M944,M945,M923,M925,M924,M926M927,M928,M936,M930,M931,M932. New Power Steering Pump For Humvee M998 Military Truck. We will try to resolve any issues, but we can’t rectify a problem if we are not aware of it. Rear Main Seal fit 92-02 Chevrolet GMC 6.2L 6.5L OHV VIN F P Y Replace OE Part #: BS40604, 23503969. Authorized A1 Cardone Dealer. Fast & Free Shipping! Car info: ENG: 6.0L V8, TRANS: AUTO AWD, EXTERIOR: TAN (11U), INTERIOR: BLACK (). Steering Shaft. We're not responsible for installation errors, labor expenses and/or any other expenses that may occur. 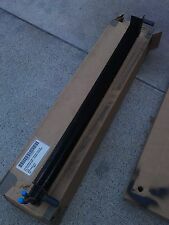 Part Number: 37201. Part Type: HVAC Harness Connector. Style: Harness Connector. Connector Shape: Rectangle. Type: Connector. Connector Pin Qty: 2. Connector Type: Spade. FIND THE RIGHT PART FOR YOUR CAR. Fits 92-02 Chevrolet GMC Hummer 6.5 Turbo Diesel OHV Head Gaskets 0.010" thicker. This is a power steering pump bracket for the HMMWV. It is NOS PN 12338775, NSN 2530-01-203-5661. HMMWV Humvee H1. Warranty Type:Manufacturer Warranty. Warranty Duration:Other. Bad cores will no be accepted. Big Red Auto Parts is third generation family owned and operated. We know your car inside and out regardless of what year, make or model it is. Part Number: 37215. Part Type: HVAC Harness Connector. Style: Harness Connector. Printed Foot Note: Coil Harness w/ Diode. Connector Shape: Other design. Type: Connector. Connector Pin Qty: 2. Connector Type: Pin. Part Number: 37218. Part Type: HVAC Harness Connector. Printed Foot Note: Harness Connector Adapter. Style: Harness Connector Adapter. Connector Shape: Rectangle. Connector B Shape: Rectangle. Connector B Gender: Female.